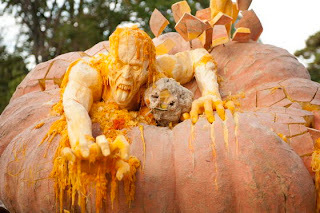 Zombies And Toys: Night of the Pumpkin Dead ? Night of the Pumpkin Dead ? 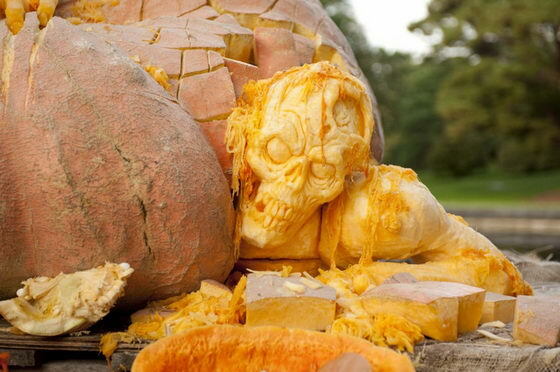 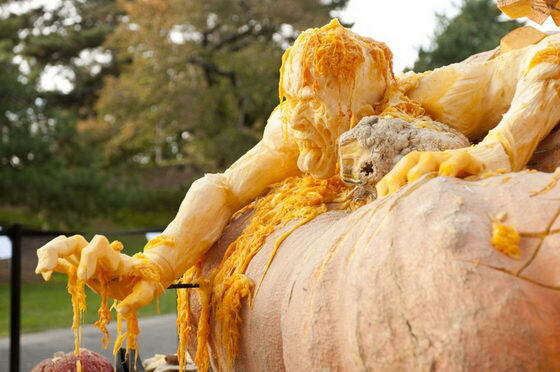 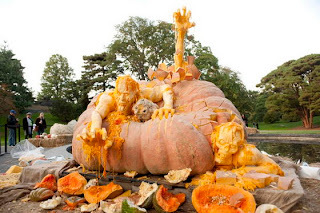 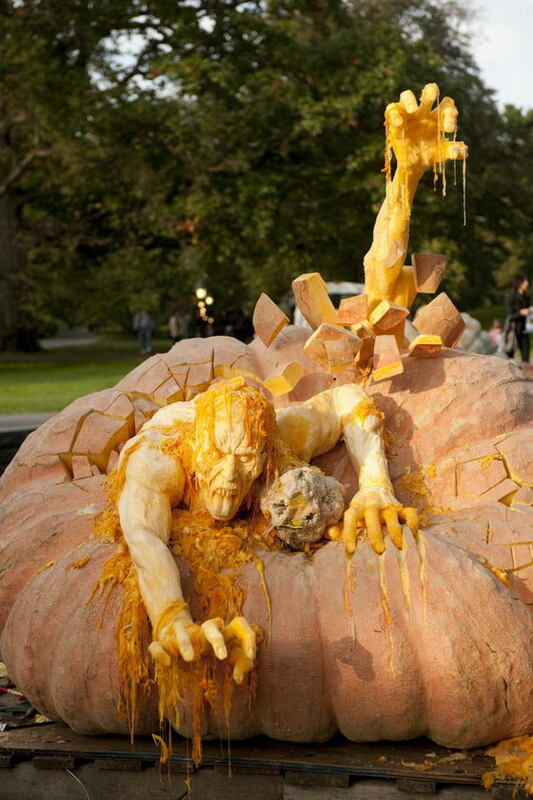 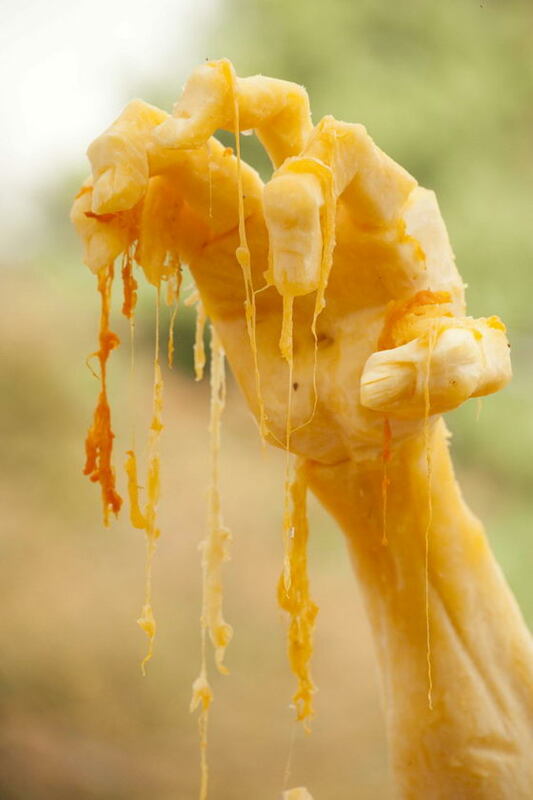 Pumpkin-carving wizard Ray Villafane has been blessed with the ability to take ANY sized gourd and turn it into a work of art that simply must be seen to be believed, and one of his latest creations is certainly no exception. 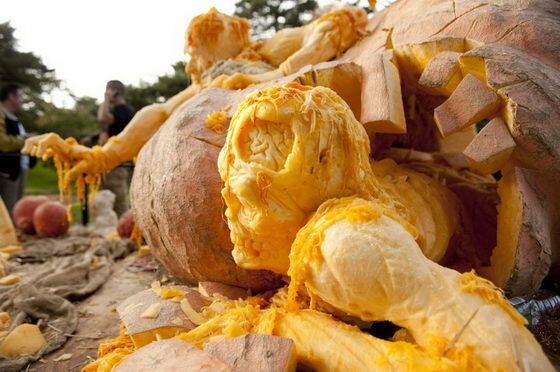 Mr. Villafane took 2 of the world's heaviest pumpkins (1,693 & 1818.5 lbs, respectively) and started hacking and slashing and for the lack of me spinning on and on about ALL the detail, I'm just gonna zip my lip and let you all check out the AMAZING pictures, so enjoy !